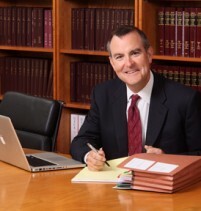 David Brinton has helped numerous families receive millions of dollars in judgements and settlements! Contact David Today to see if he can help you! David H. Brinton focuses on nursing home neglect and abuse. He also handles physician and hospital negligence/malpractice, wrongful death, trucking and automobile accidents, premises liability, and other personal injury claims. To find out more visit our Services page here. With the growing number of retirees in nursing facilities, nursing home abuse is quickly becoming a more prominent issue. If you suspect your elderly parent suffered from nursing home negligence, elder abuse or substandard care, The Law Offices of David H. Brinton, LLC can investigate a claim for damages. Find out more about Nursing Home Abuse. $450,000 for the daughters of a woman who developed a pressure ulcer and dehydration as a result of nursing home neglect. See Mr. Brinton’s Case Results.